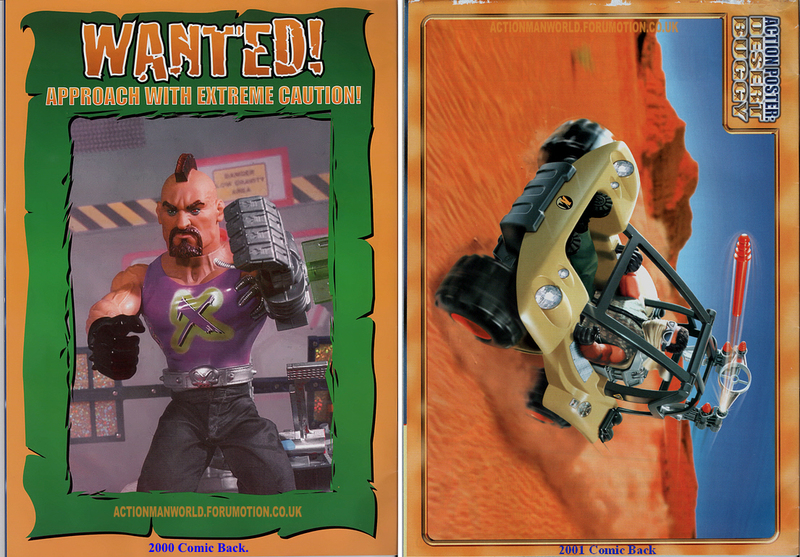 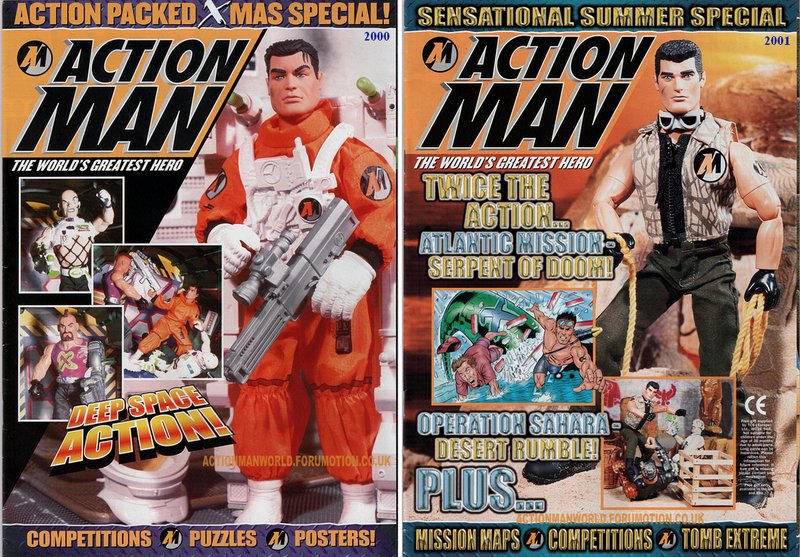 Action Man Comic Cover Scans Part 2, The Specials (1999 - 2002).- BLOOD FOR THE BARON!!! 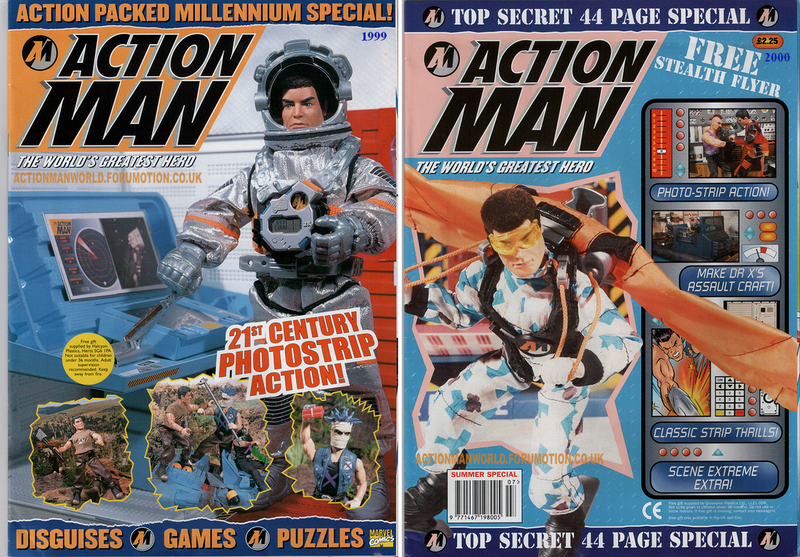 These"Special Edition" comics have a lot crammed into them, they even contain excellent photo comic stories along with free gifts. 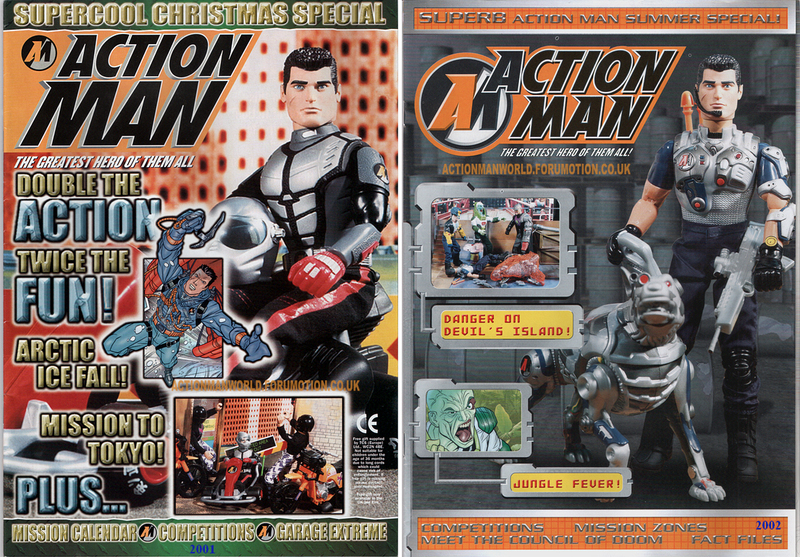 One of the gifts is a very large Action Man diorama play mat made out of a tough durable plastic that can be washed, there's also a pair of secret agent binoculars sealed in a bag inside one of the comic bags. 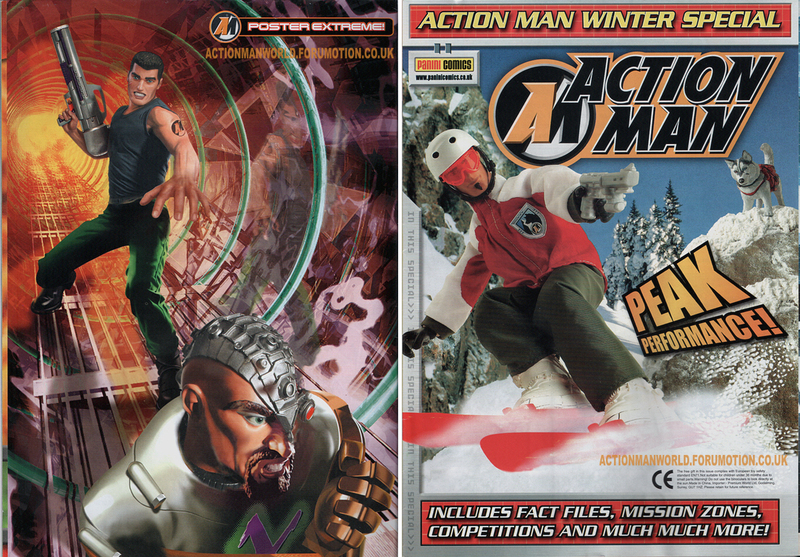 Six of these comics are still in their silver foil wrappers (resealed after scanning), whilst the other comic is in a poly bag, now resealed. 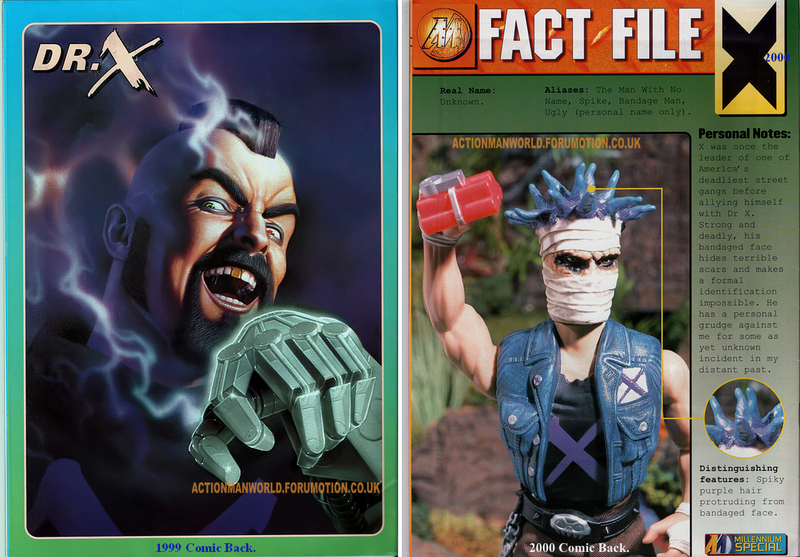 When I get time I'm hoping to scan some of the photo comic stories.